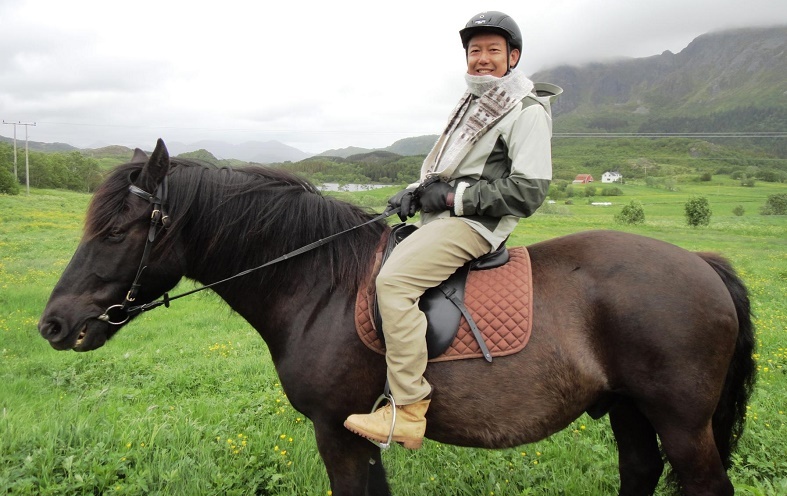 Today we take you to Bangkok, Thailand and Kyoto, Japan – meet Masaru Takayama, owner of Spirit of Japan Travel, ecotravel agency, founder of the Japan Ecolodge Association (2006) and founding chair of the Asian Ecotourism Network. 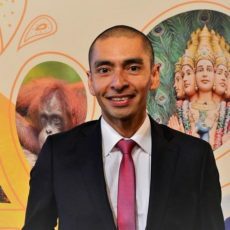 In this interview, Masaru tells us why he believes in the need for a network and platform run by Asians for Asians (the Asian Ecotourism Network was officially launched in Bangkok earlier this week). He also shares his thoughts on the current state of sustainable tourism in Japan and Asia more widely, and his most memorable moment as site evaluator for the WTTC Tourism for Tomorrow Awards. His favorite books on tourism, travel and sustainability. Masaru, when did you discover your passion for sustainable tourism? I was traveling the world and when I hit Costa Rica in the late 90s, I participated in a village tour between my scuba diving days, which turned out to be an ecotour. I was thrilled to learn that travellers can make a difference to the host community and country. With my background in oceanography, coastal engineering and energy conservation, I thought I could contribute in promoting ecotourism in and out of Japan. Later on, this led me to establish the Japan Ecolodge Association. Which accomplishment as founder and president of the Japan Ecolodge Association are you most proud of? I founded the Japan Ecolodge Association in 2006, whose sustainability standard is now recognized by the Global Sustainable Tourism Council. I am happy to say that we provided solutions before the market demanded a system to promote a sustainable and eco-minded lodging industry: we are spearheading the nature-based eco-lodging industry in Asia. While most ecotourism development in Asia focuses on conservation, nature and empowerment of communities, we can also assist with technological support. 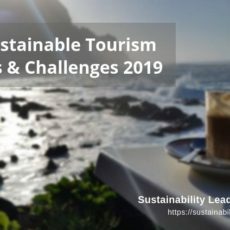 Having worked as ecotourism consultant with UNEP and UNWTO, among others, how has your view of sustainable tourism changed over the years? We have seen some changes after 2002, when the UNWTO declared The International Year of Ecotourism, but mostly at a grassroots level. 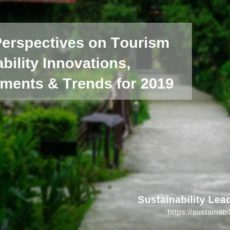 It is only since about three years that more and more countries are seriously taking sustainable tourism into consideration on the policy level, and more funds are being injected. If you are working with the environment and communities, it takes a commitment of at least five years before you see tangible results. I have seen many projects fail to succeed because they didn’t allow for enough time and ran out of money. Overall, we now have more and better opportunities to work towards sustainable tourism. The ecotourism fraternity is growing at an unprecedented rate, and so are visitor numbers. When and why did you decide to set up the Asian Ecotourism Network (AEN)? We all know each other – the ecotourism players in Asia, but we never had a platform to work together and learn from each other. We don’t want our members to reinvent the wheel where others already came up with solutions. Also, Asia is growing as one of the biggest tourism destinations in the world, but has no suitable and recognized eco-certifications and standards in place. Many of my Asian colleagues are eager to participate and to collaborate. Your thoughts on the current state of sustainable tourism in Asia? As the whole industry, it is going against sustainable tourism, as the majority seek the cheap vacation and choose by price, not quality. Visitor arrivals are increasing at an alarming rate, so the development of policy on sustainable tourism is in dire need. The rate of increase in visitor numbers is a real challenge for our slow policy making processes in Asia. We need effective and radical plans to remedy, or alleviate the situations in tourism that are already indicating adverse effects on our peoples and nature. Does sustainability play a role in contemporary Japanese business and culture? The multinational Japanese companies are doing extremely well on improving their sustainability, including streamlining their operations and committing to CSR projects to tackle global warming, poverty alleviation, natural disaster prevention, etc. Japan has been enjoying a sustainable lifestyle until the industrialization, and there is a big movement to going back to the old days, recognizing the organic and slow-life style. Your most memorable moment as site evaluator for the WTTC Tourism for Tomorrow Awards? Every time I go to evaluate a destination or an operator, I learn so much from them. So I cannot place one over another, but when I visited Lao PDR to evaluate LANITH (the Lao National Institute of Tourism Hospitality), I thought their work really deserves the world recognition, as they are the only hope in the country to educate the tourism industry – both public and private sectors. They were then the winner of the 2014 Tourism for Tomorrow People Award. In those moments I feel good about my contribution because I know that many others will be influenced to follow these leaders. Which eco-labels and sustainable tourism certifications would you recommend to Asian tourism businesses and destinations? There are some internationally recognized standards and certifications that want to play a bigger role in Asia, but they are what we call the Western model. We think we need one that suits Asia and this must be developed by us Asians over rice and noodles. So I want to make it one of the core missions for the Asian Ecotourism Network to embrace this agenda. It may take time, but this must be done. Since I am a big fan of ecolodges, my favorite book has been [easyazon_link identifier=”0061688436″ locale=”US” tag=”slpus-20″]Authentic Ecolodges[/easyazon_link] that came out in 2010 written by my good friend and mentor Hitesh Mehta. My recent favorite one goes to New York Times Bestseller [easyazon_link identifier=”0804139296″ locale=”US” tag=”slpus-20″]Zero to One[/easyazon_link] by Peter Thiel and Blake Masters. The book is not on tourism, but an ecotourism entrepreneur should get some ideas or at least confirm that your belief is valid and correct. In a way, it is an updated version of Blue Ocean Strategy. 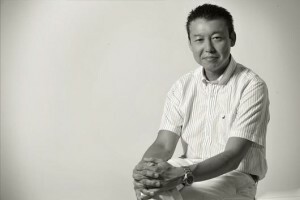 Connect with Masaru Takayama on LinkedIn. Enjoyed our interview with Masaru Takayama on the Asian Ecotourism Network and sustainable tourism in Japan and Asia? Share and spread the word!